I Can Barely Draw - Time Warp, or Suspended Universe? Time Warp, or Suspended Universe? Bicyclist: AND THAT SAME FALLEN LOG AGAIN!! PULL UP, PULLL UP!! Bicyclist: I should be falling, yet I'm not! 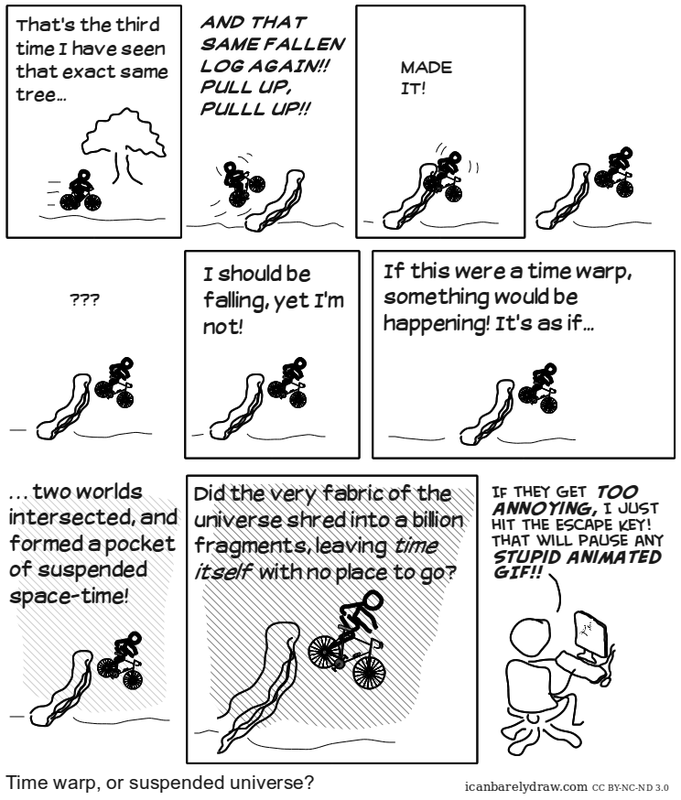 Bicyclist: … two worlds intersected, and formed a pocket of suspended space-time! Bicyclist: Did the very fabric of the universe shred into a billion fragments, leaving time itself with no place to go? Computer user: If they get too annoying, I just hit the ESCAPE key! That will pause any stupid animated GIF! !